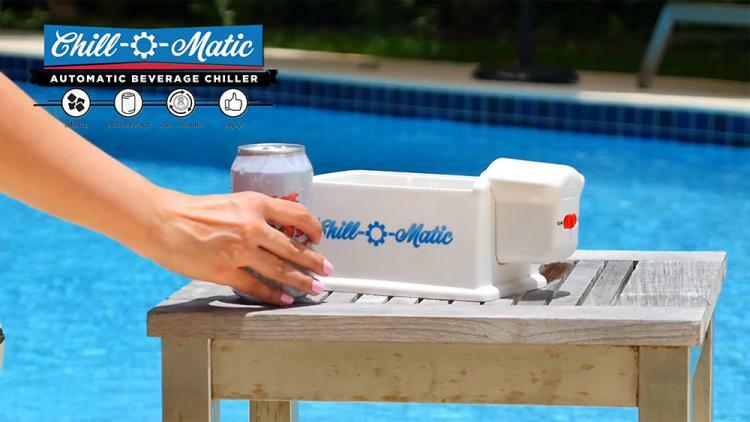 The Chill-o-Matic is a device that will chill a can of soda or beer in just 60 seconds. 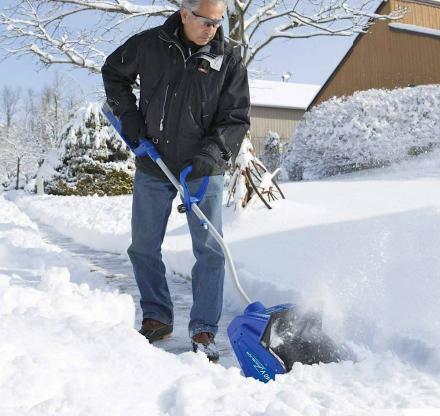 The device works similar to the SpinChill which essentially spins your can at a rapid pace while touching ice to cool you drink much more rapidly than a freezer or refrigerator would do. 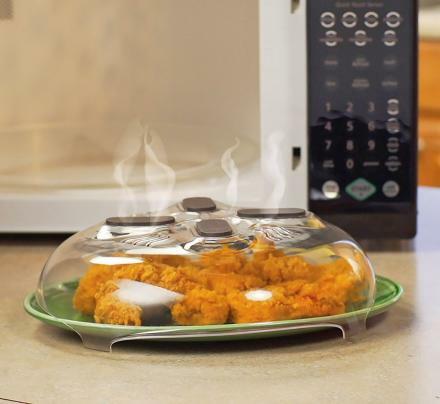 To use it, simply place your can of of soda or beer into the container, cover it with a few cubes of ice, and turn it on. 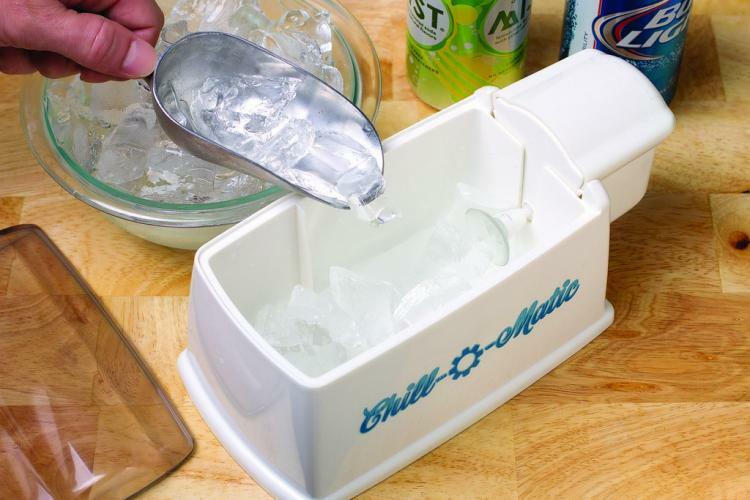 The Chill-o-Matic will spin for 60 seconds and completely chill your drink. 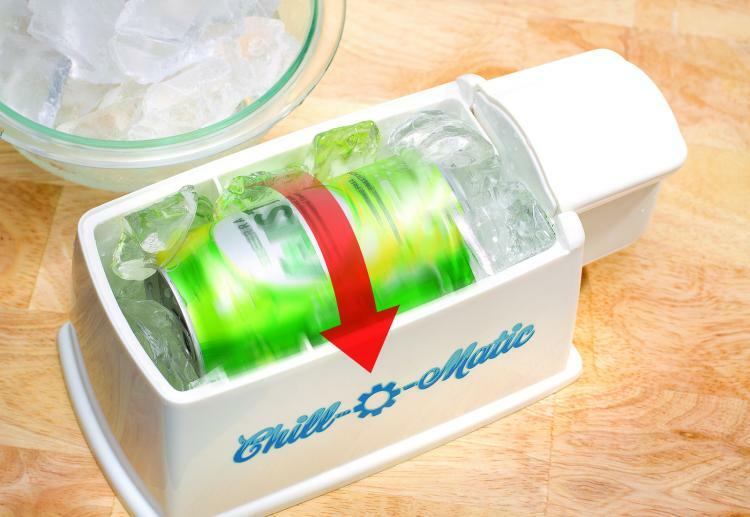 Unlike sticking your can in the freezer which makes your beverage have to cool down from the outside on in, the Chill-o-Matic spins the warm liquid in the center of the can towards the outsize of the can which is touching the ice. 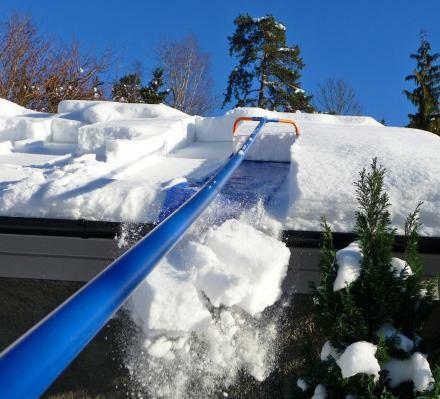 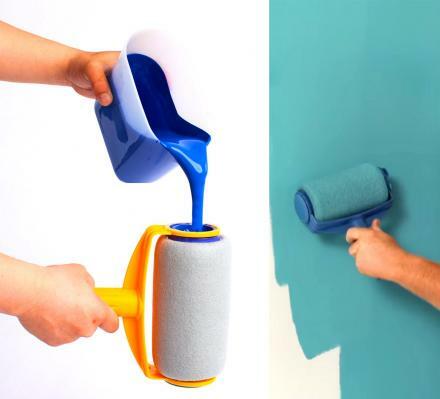 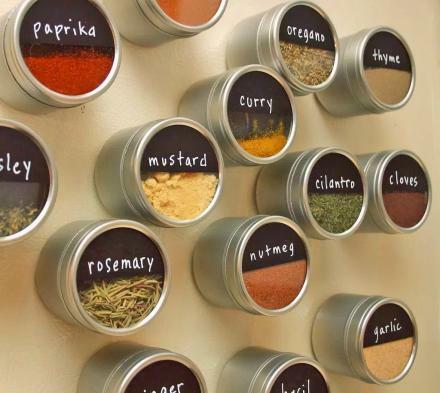 Which doing this over and over will end up chilling your can 240 times faster than using the refrigerator. 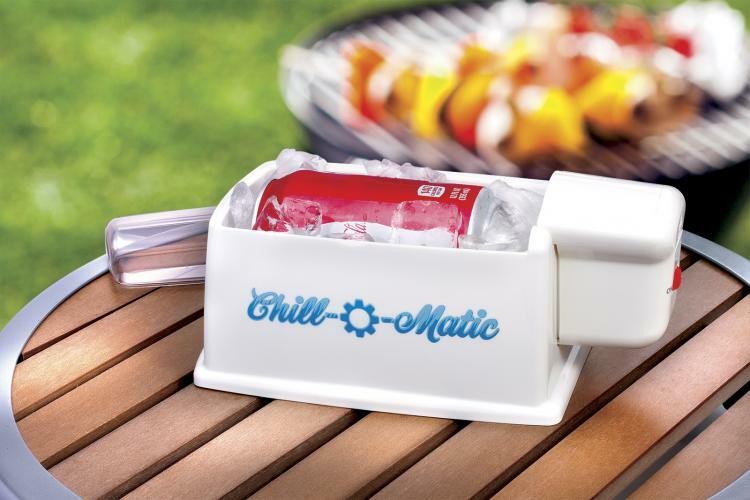 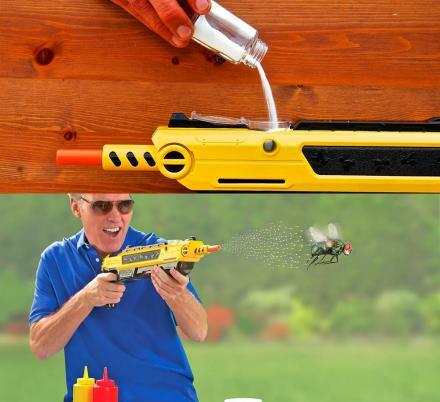 Perfect for tailgating, picnics, out on the boat, golfing, or just BBQing in the backyard when you forgot to cool down some drinks beforehand, the Chill-o-Matic will chill your drink down to 40 degrees in just 1 minute, is powered by 2 AA batteries which are not included, and measures 8 inches long x 4.8 inches wide x 4.5 inches tall. 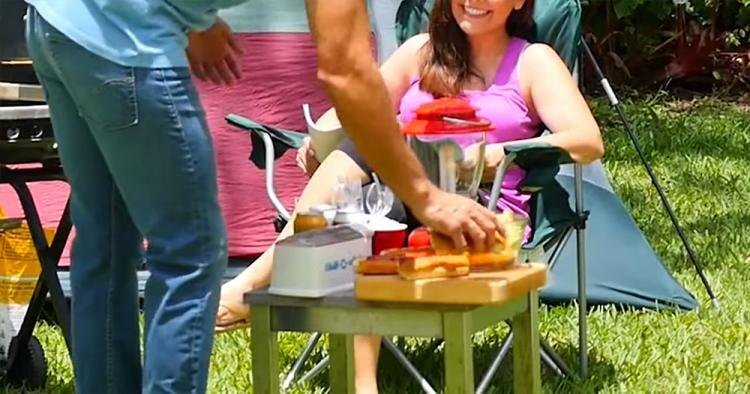 The spinning drink cooler will make for a perfect gift idea for beer drinkers, beach goers, or just for Dad. 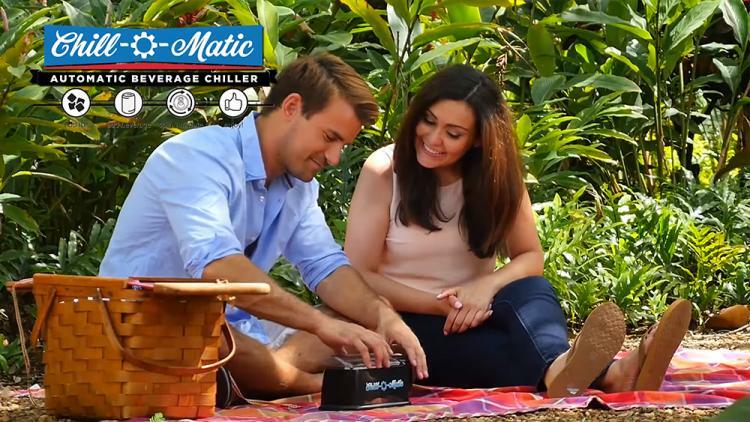 Check out the Chill-o-Matic spinning drink chiller in action via the video below.